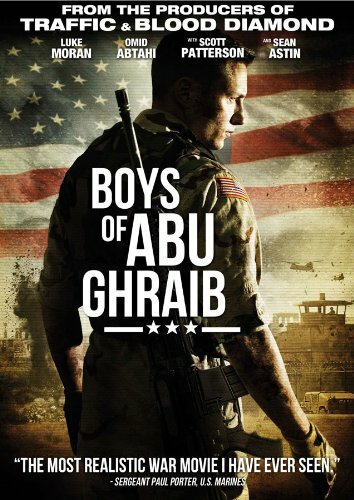 LOS ANGELES � April 1, 2014 � For Immediate Release � A forbidden friendship and a shocking truth are revealed in Boys of Abu Ghraib , available on VOD (released Feb. 25) and DVD (April 15) from Vertical Entertainment. In this military thriller, American soldier Jack Farmer (Luke Moran, Listen to Your Heart, Catch) is stationed overseas at Abu Ghraib, an Iraqi prison seized by U.S. armed forces. There, he is tasked with guarding the cell block where top-priority suspected terrorists are held, known as the Hard Site. A rookie to the Military Police, Jack is shown the ropes by a veteran guard (Sean Astin, Lord of the Rings saga), who demonstrates how to control the prisoners by using violence and intimidation. But during his long, lonely shifts, Jack develops a secret bond with Ghazi (Omid Abtahi, Argo, Brothers), an English-speaking detainee. Soon, Ghazi is subjected to harsh interrogations over his suspected involvement in building bombs with intent to kill innocent civilians. As the questioning progresses to torture, the forbidden friendship is revealed. Now, with his career and Ghazi�s life on the line, Jack must choose between loyalty to his country or his virtue. From the executive producers of Blood Diamond and The Last Samurai, Boys of Abu Ghraib also stars Sara Paxton (The Inn Keepers, Superhero Movie), Michael Welch (of Twilight fame, CBS� Joan of Arcadia) and John Heard (the Home Alone franchise). Boys of Abu Ghraib is presented in widescreen with an aspect ratio of 16 x 9 (1.78:1) and 5.1 Dolby Digital Surround Sound.